We accomplish that mission in our daily work by setting the industry standard in creating beautiful landscapes and providing exceptional service to our customers. We call that the High Quality Advantage. It is that daily devotion and pride in our craft that sets us apart from other landscaper service providers. The Safety of our team, our customers and the public is our highest priority. We Respect everyone we work with. We’re Professional in everything we do. We Improve our services and the work we perform every day. In our current environment of water restrictions, diminishing resources, and rising costs, an efficient and well maintained irrigation system is a critical element to an effective landscape management plan. 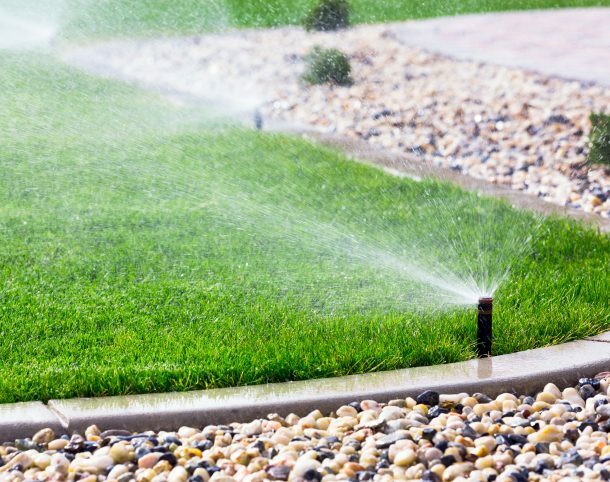 High Quality Landscape Services can provide for all of your irrigation needs, including system design, installation and regular maintenance. High-tech systems installed and maintained by our trained technicians will keep your landscape lush and flourishing while reducing the impact to our environment.